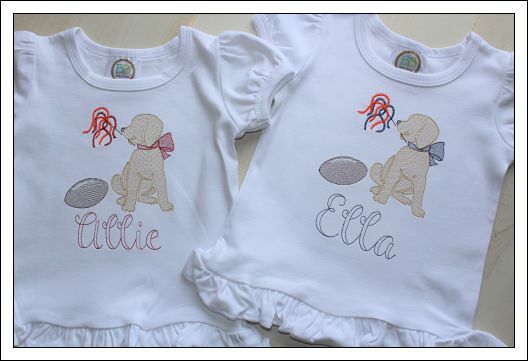 Let your little one show their game day spirit with these adorable Game Day Pup designs! Made of 100% cotton, these can be worn with shorts or long pants. Be sure to let us know the team colors you prefer. Choose from garment styles, sizes and colors HERE.